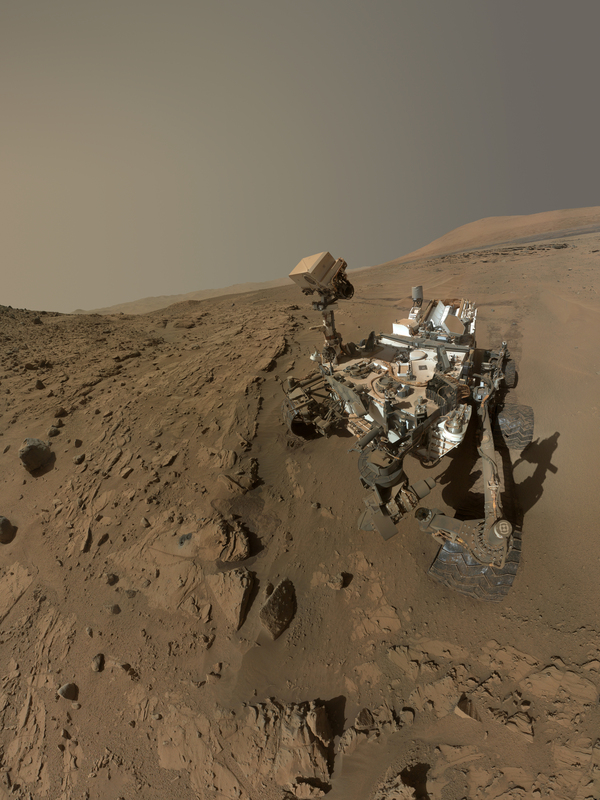 NASA and JPL are marking a Mars year of successes for the Curiosity rover, as well. One of Curiosity’s first major findings after landing on the Red Planet in August 2012 was an ancient riverbed at its landing site. Nearby, at an area known as Yellowknife Bay, the mission met its main goal of determining whether the Martian Gale Crater ever was habitable for simple life forms. The answer, a historic “yes,” came from two mudstone slabs that the rover sampled with its drill. Analysis of these samples revealed the site was once a lakebed with mild water, the essential elemental ingredients for life, and a type of chemical energy source used by some microbes on Earth. If Mars had living organisms, this would have been a good home for them. • Assessing natural radiation levels both during the flight to Mars and on the Martian surface provides guidance for designing the protection needed for human missions to Mars. • Measurements of heavy-versus-light variants of elements in the Martian atmosphere indicate that much of Mars’ early atmosphere disappeared by processes favoring loss of lighter atoms, such as from the top of the atmosphere. Other measurements found that the atmosphere holds very little, if any, methane, a gas that can be produced biologically. • The first determinations of the age of a rock on Mars and how long a rock has been exposed to harmful radiation provide prospects for learning when water flowed and for assessing degradation rates of organic compounds in rocks and soils. • Curiosity paused in driving this spring to drill and collect a sample from a sandstone site called Windjana. The rover currently is carrying some of the rock-powder sample collected at the site for follow-up analysis. Read more: Mercury is Spotted For The First Time — From Mars! Curiosity departed Windjana in mid-May and is advancing westward. It has covered about nine-tenths of a mile (1.5 kilometers) in 23 driving days and brought the mission’s odometer tally up to 4.9 miles (7.9 kilometers). Find out where Curiosity is now and keep up with the MSL mission timeline here. Here’s to another amazing Martian year of discoveries! Previous Post Mercury Is Spotted For The First Time – From Mars! Happy Birthday and still more great discoveries ! !